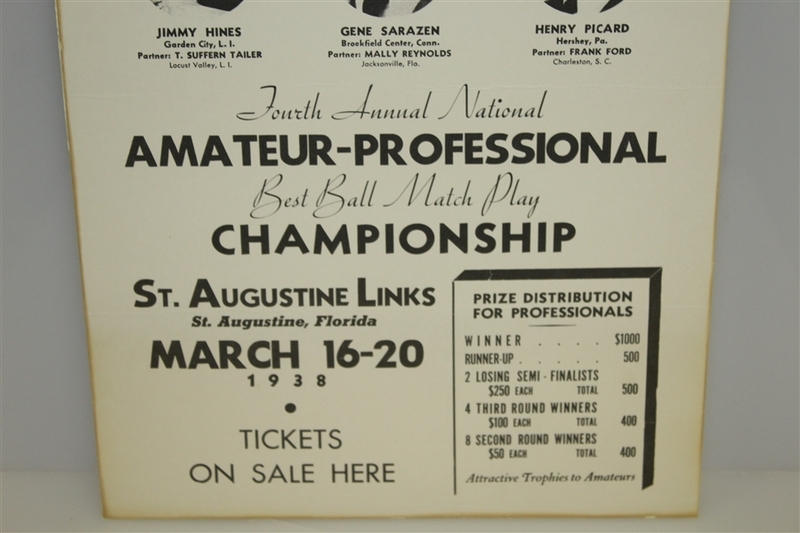 Offered here is an advertisement print promoting the 1938 National Amateur-Professional Best Ball Match Play Championship at St. Augustine Links. 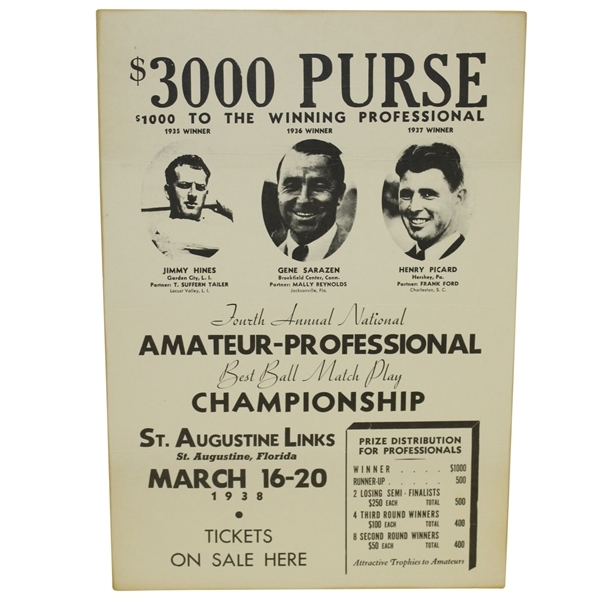 With no manufacturers mark, publish date, copyright, etc. we believe this to be a print of an original. 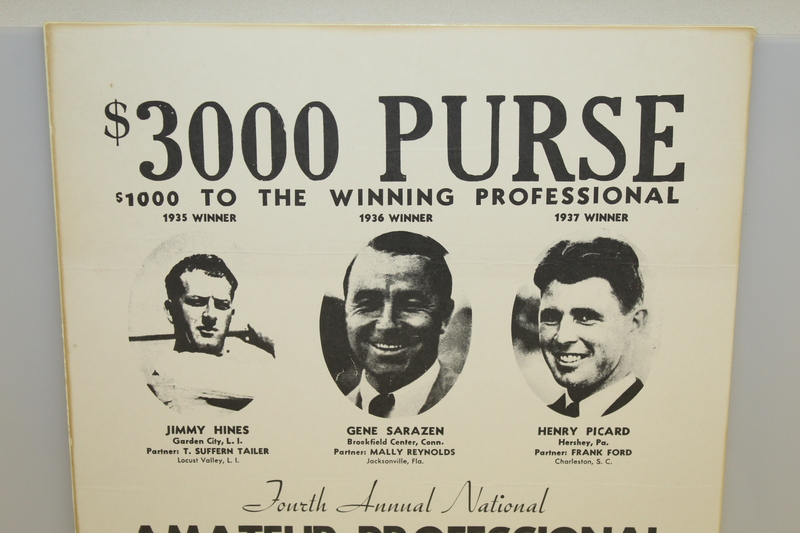 Gene Sarazen, Henry Picard, and Jimmy Hines are shown as previous winners of the tournament. 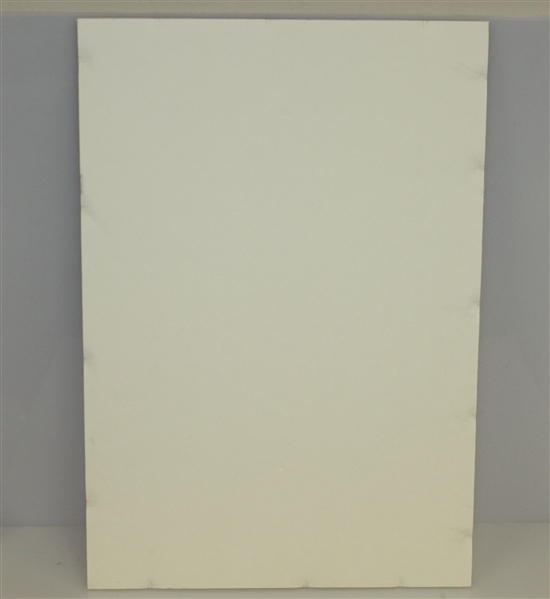 19" x 13 1/4"